Sat June 16th. ..We have Plenty of Boat Parking. Free Ice. Electric outside of rooms. Back boats right up to your door. 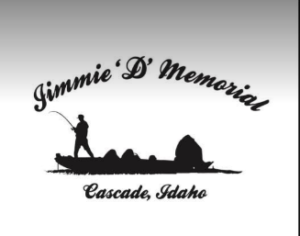 The Jimmie D Memorial bass tournament is ref=”http://“>INFO is coming up June 16 at Lake Cascade! Please come spend Father’s Day weekend with us! The golf scramble is on Friday 2pm at the Cascade golf course and the restaurant and bar are open! There will be dinner served, raffle, and awards immediately after weigh in on Saturday. We encourage you you to make a weekend of it, be safe, and stay Saturday night as well. If you fished last year you should have received your entry by mail. You have until May 16 to respond before open registration begins. It is limited to 50 boats and last year we had 42! So get in before it fills up! Remember it is a SPINNING ROD ONLY TOURNAMENT! See you there!